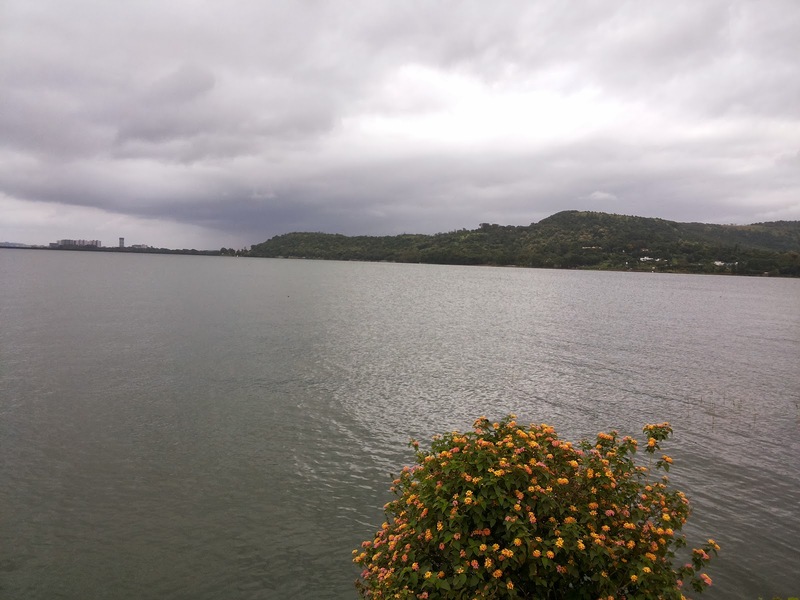 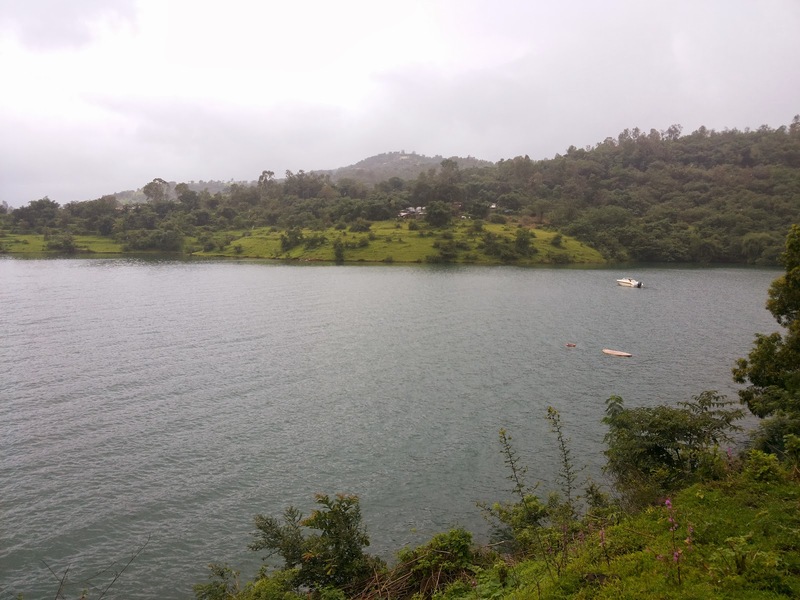 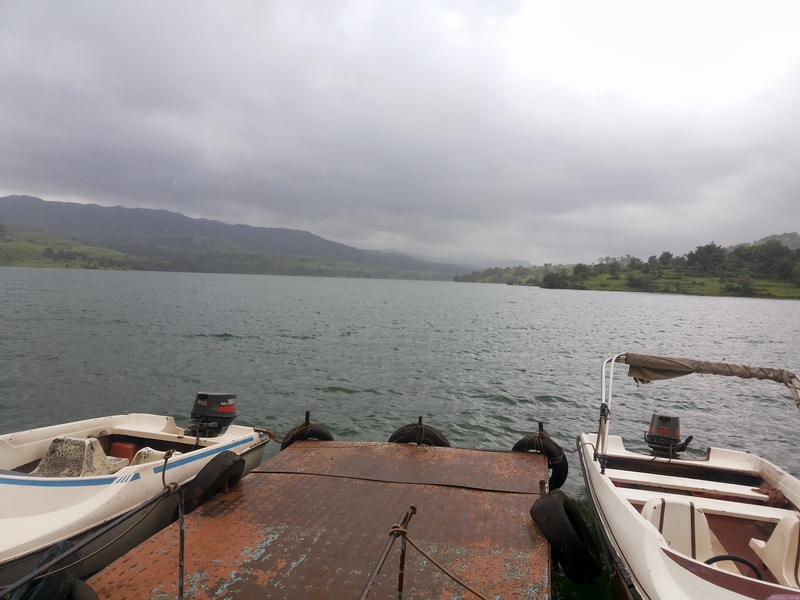 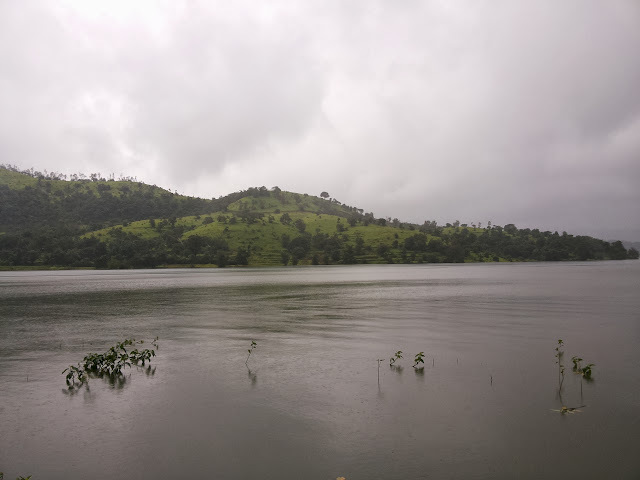 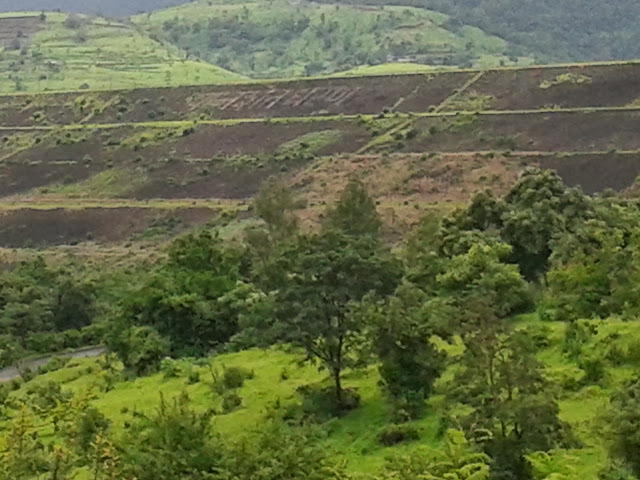 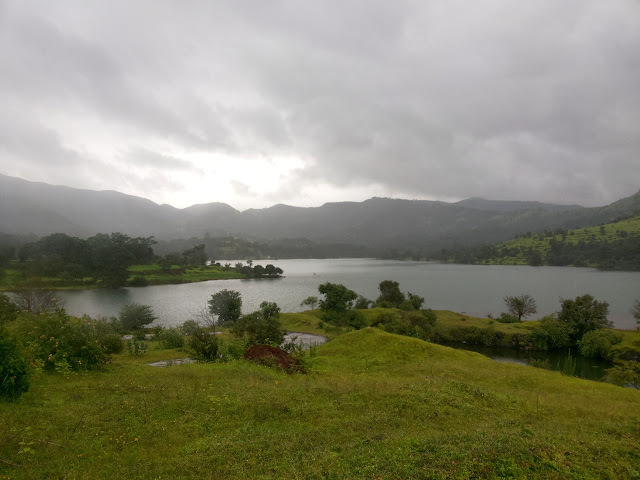 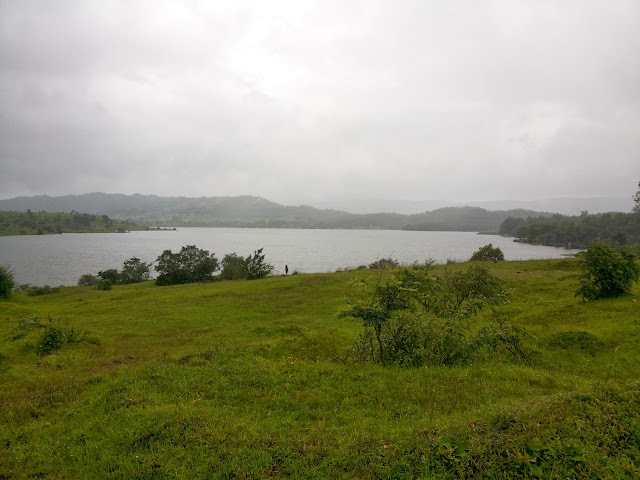 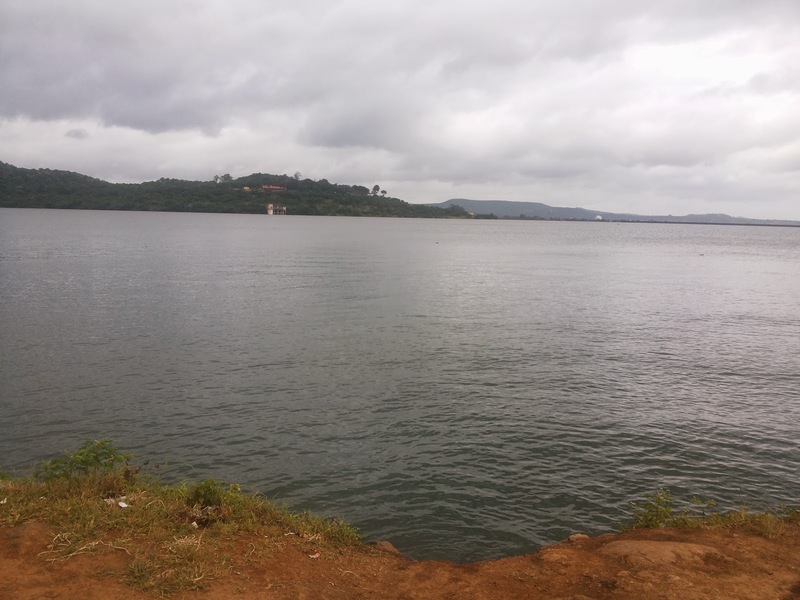 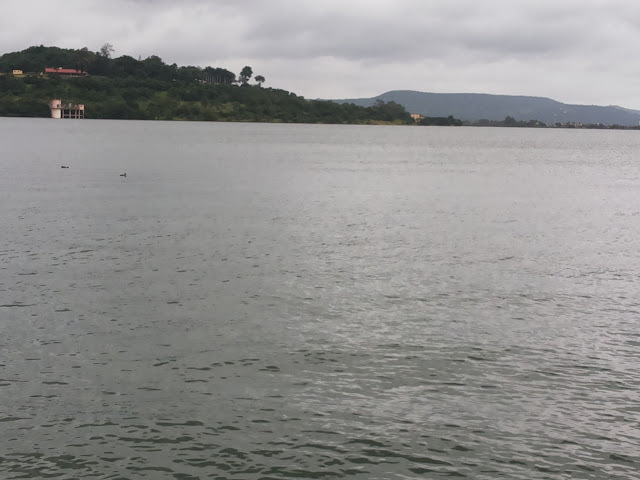 A bike ride to Panshet Dam on a rainy day - Journey & Life. 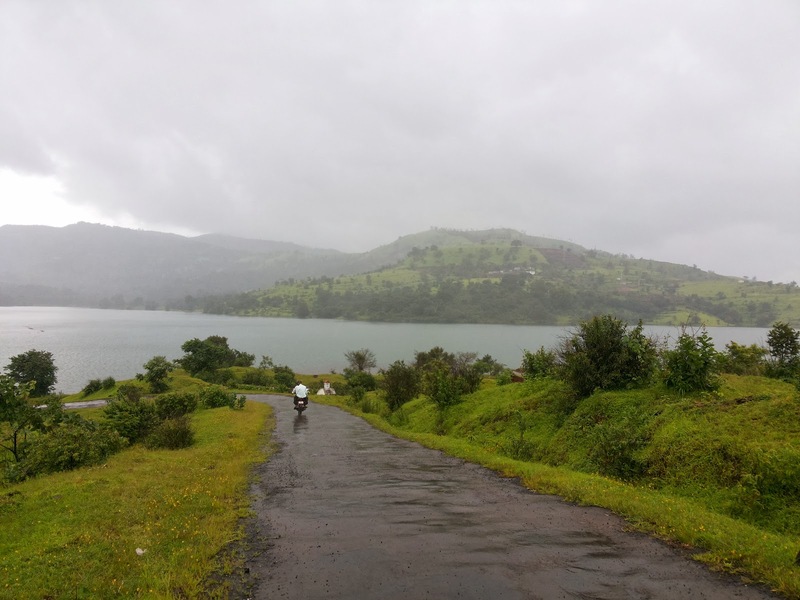 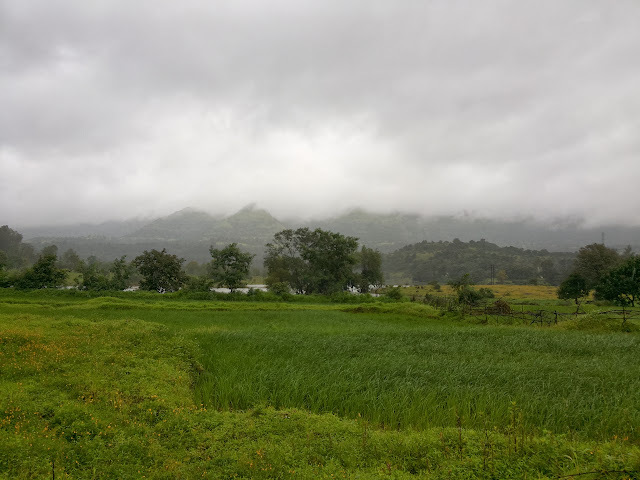 As a rain started bit early (before June) this year and unfortunately slow down after one and half month which made me plan for the rainy ride to Panshet Dam (A dam which supplies drinking water to Pune city) on 24th August 2013 which is around 65km from my home. 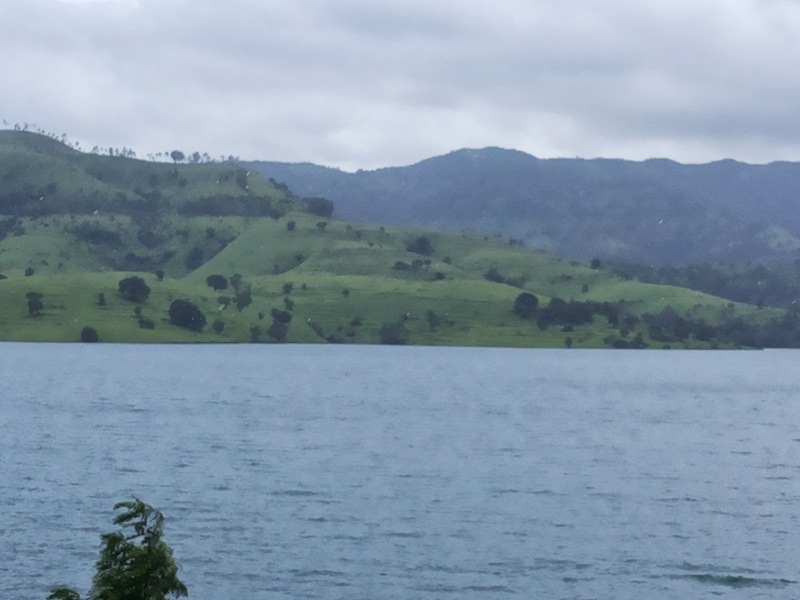 Panshet Dam is one of the famous picnic spots of Pune and attracts many visitors from Mumbai who travel to relax, water sports, bike rides and enjoy the beauty surrounded by the dam. 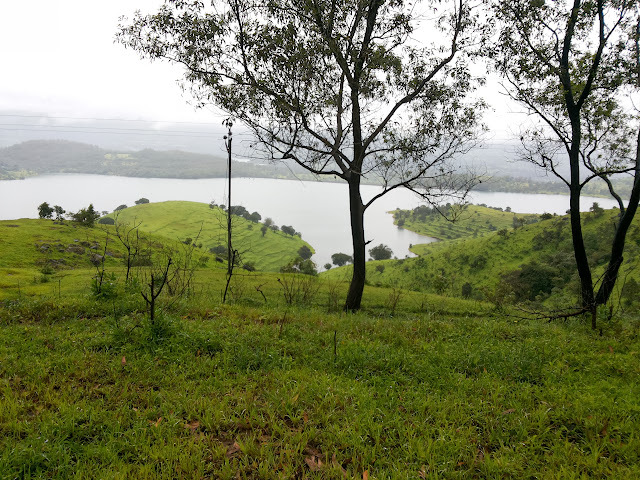 A road heading towards Panshet from pune is really simply and one needs to catch the famous road of pune “Sinhagad road” from Wadgaon Phata and travel towards the Khadakwasla dam (another weekend gateway for Punekars). 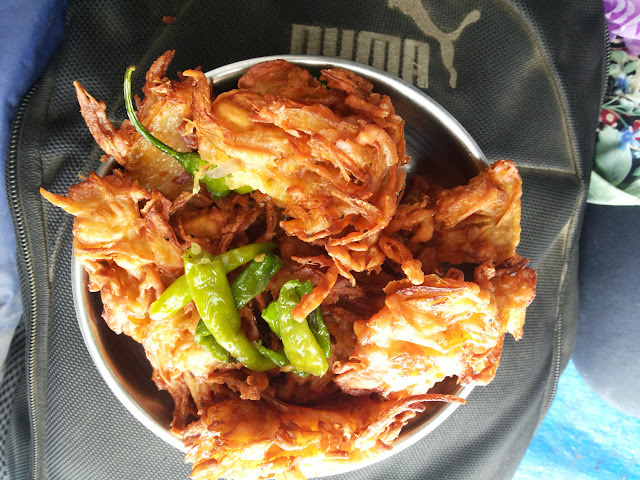 I started my ride at around 10am and hit the Mumbai-Pune bypass road from Katraj and ride towards Wadgaon Phata and took a left turn for Sinhagad Road and reached Khadakwasla dam at around 10.45am and had my favourite kanda bhaji which was the breakfast for the day. 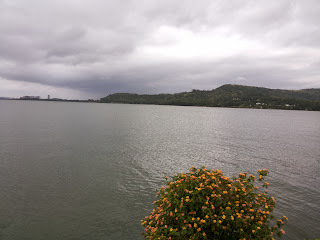 After crossing the Khadakwasla dam, the winds made my day as if they are flowing from heaven and the climate change made the surrounding beautiful. Road conditions after the Khadakwasla Dam is not that good as it was a village road with lot of maintenance work going on but it was ok for bike riding. 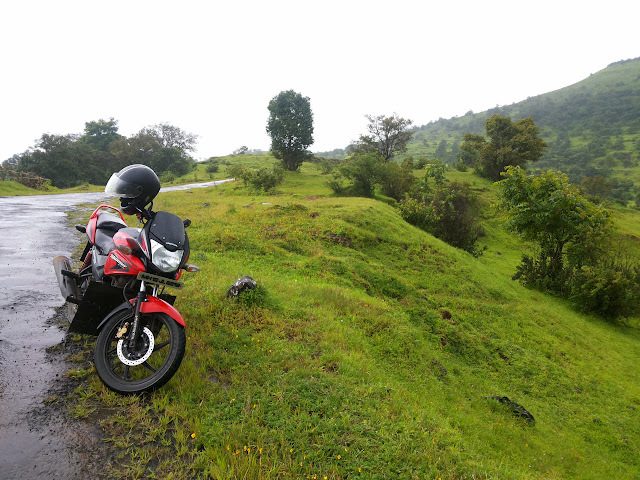 Also the sign boards at Panshet are really confusing but thanks to my mobile GPS which helped a lot in the overall ride. After an hour journey I reached Panshet Boating club which was the ideal place for boating and water sports. 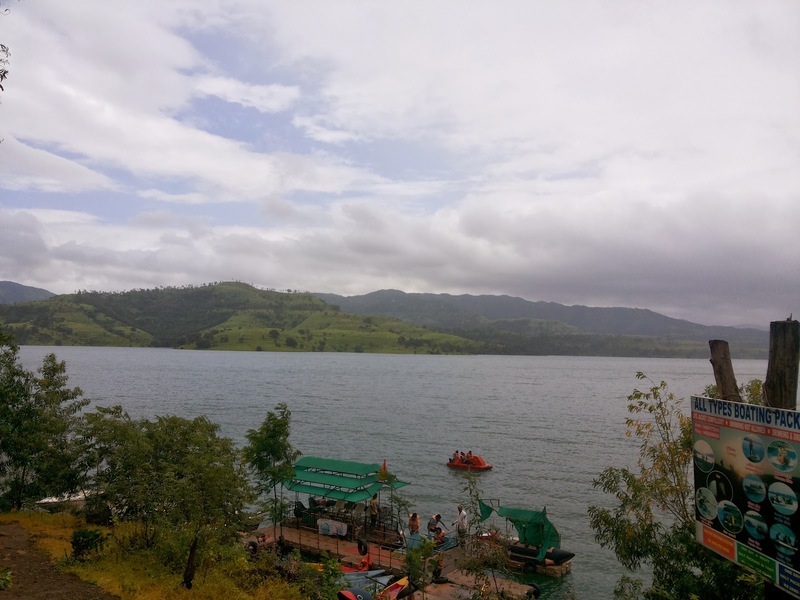 After having a refreshments I left for the other end of Panshet dam which was looking beautiful from the boating club, so planned to left boating club and drive towards the Kuran Khurd ("Zilha Parishad primary school") and took the right turn towards Vele and Shirkoli village. 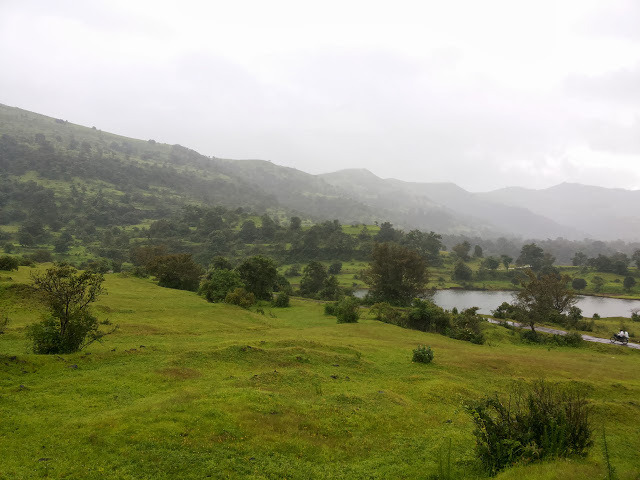 After few ride the surrounding greenery stopped me and requested to capture the snapshot of the beauty in my phone. 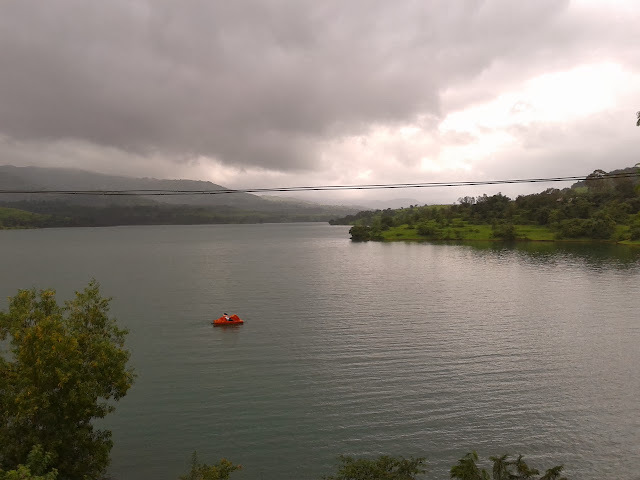 So now I will request the photo to explain the scenic surrounding Panshet dam. 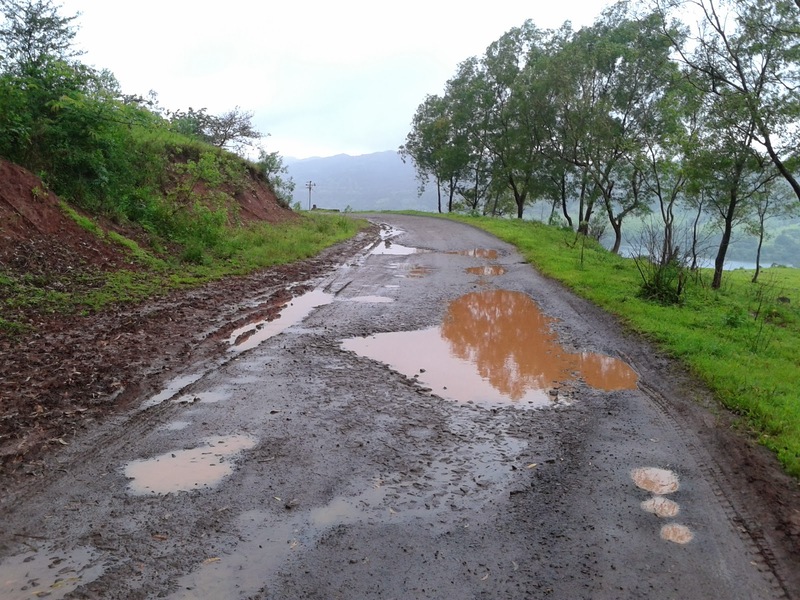 After a long stretch the road condition near Ambegaon BK became worst which forced me to take a U turn and finally I returned back to pune at around 5.30PM with an enjoyable and scenic memory. This was memorable trip, so will plan to visit again in the next rainy season. 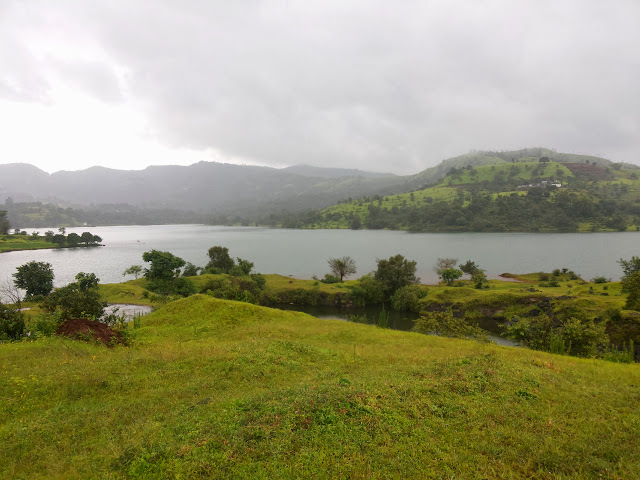 Best time to visit Panshet Dam will be the rainy and winter season to enjoy the beauty of surrounding expanse of the Dam and stay option is MTDC Resort.